I'm in the sweet spot, pedalling along the wrong way into the open butchered section, the stretch where stump after stump litters the sinewy track. The first one approaches and the pedal lifts. Sweet! Now the second. The pedal lifts and clears. Then again and again, and I'm in the zone. 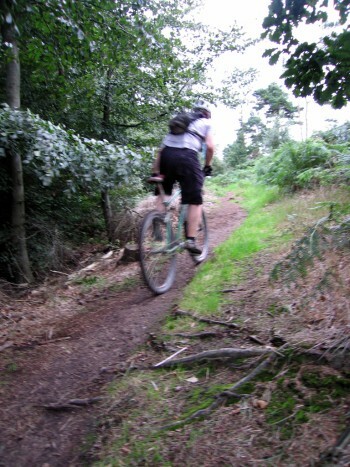 I keep going and another stump passes with the left pedalling rising above it like this gear was made for the trail. A bit of down, a bit of rightleft shimmy and another stump comes near. I think nothing of it. Surely the pedal will lift? Bam! and I've lost control. Time enough to put my foot down and no harm done. Except to my pride. The Zen left me. I've always had a bike, I used to ride with my dad on the road a bit. Then, in 1987, I fell in love with Le Tour and dabbled in road riding. It didn't stick, but mountain biking did stick good and proper. At first I laughed at the idea of singlespeed and fixed off-roading, but here I am writing a piece for 63xc.com. What happened? Fixed got cheap. I ended up sticking a set of those On-One fixed hubs on my disc-only Inbred. My first ride on Shadows came a few months later. Shadows. 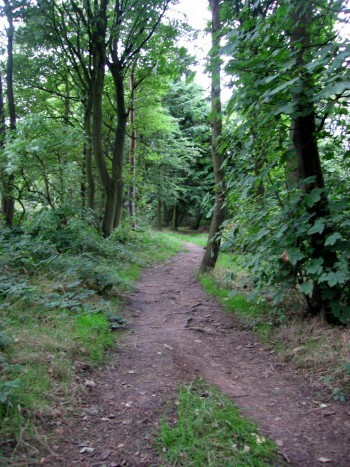 We live on the edge of the North Yorkshire Moors in an unnatural woodland. The steeply rising woods are among the best places I've ever ridden, and this rolling trail is the one that stands out the most. If you want more than the techy goodness of the fireroad climbs enclosed within the forest, you can head for the top, where you fall out onto endless miles of moorland riding. Shadows is a bit of a cheeky trail, but since we started riding it long before it was designated it's ours. Back then it was a stretch of singletrack, sun-dappled, twisty, and delightful. It has only got better with age, as tree roots become more exposed and the line gets more ingrained. Small climbs, off-camber roots, a step up on a climb, a big stump where the path takes you below but the only way to ride it is hit the high line hard and fast. Heaven. There was a year of fear when it dawned on us that the marks we'd been noticing on the trees were actually the forestry commission marking out their path of destruction. It happened and, by some miracle, Shadows remained. For once, the big engines and the men who drive them avoided ripping the trail to bits. After they left I felt lost without the closeness of the trees but that was just looking into the past. Shadows dried better with the opening of the canopy, it flowed faster with the overhanging trees gone, and all our favourite stumps were still there! Besides, the second half of Shadows remains as it always has been. That's a whole other story and not something I have ever tried fixed. Shadows had changed again, for the better. Love it. Tom Levell reads 63x.com, rides fixed a lot, and has his own blog.